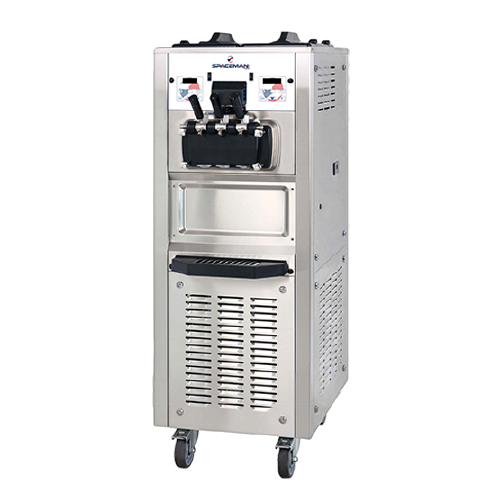 If soft serve is what you’re craving, we have the machines to make it happen. 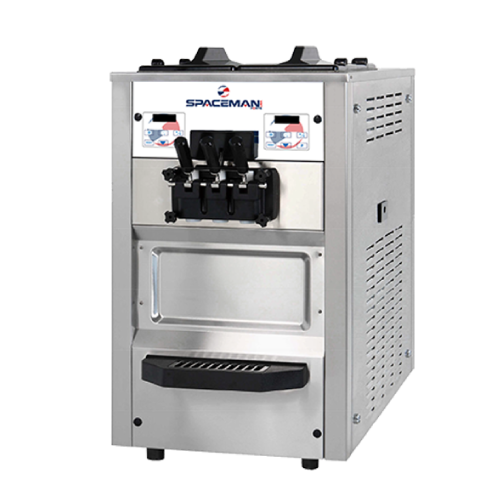 This page shows a list of all available Spaceman soft serve machine models. 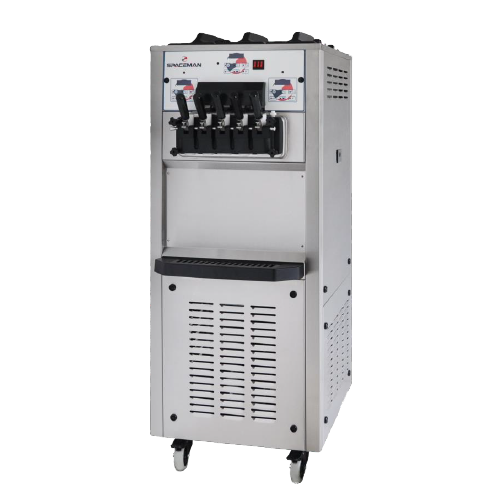 To aid your selection, calculate how many quarts of product per hour you’d like to produce and whether you want a free-standing model or not, then browse through the options to find the soft serve machine type that’s right for you. 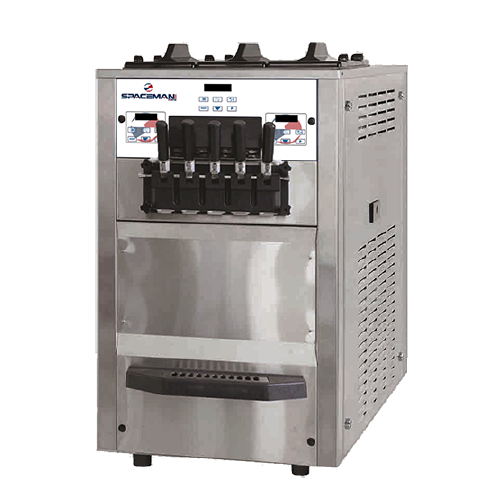 The higher model numbers indicate more storage capacity. 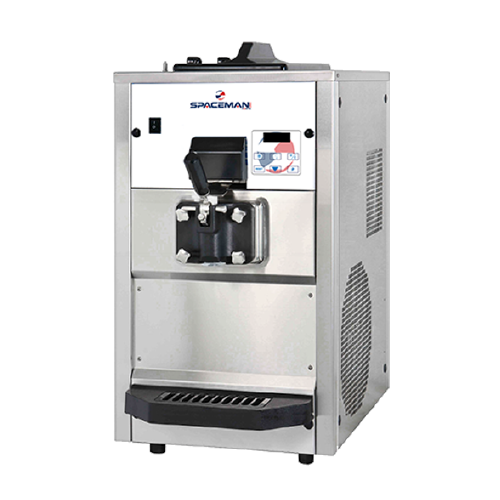 All Spaceman soft serve machines indicating “H” come standard with our highly regarded hopper agitator. 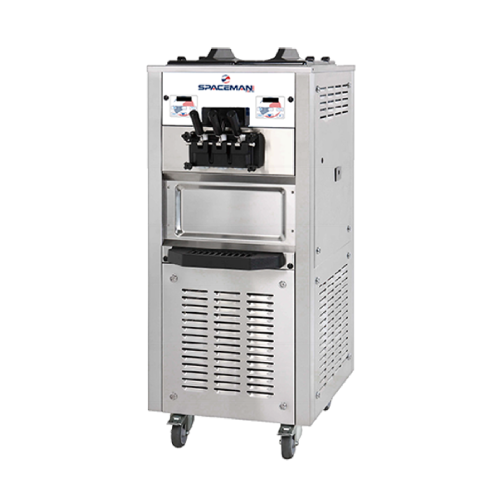 The hopper agitator keeps product in the storage area (hopper) mixed and cooled, saving your employees precious time throughout the day! 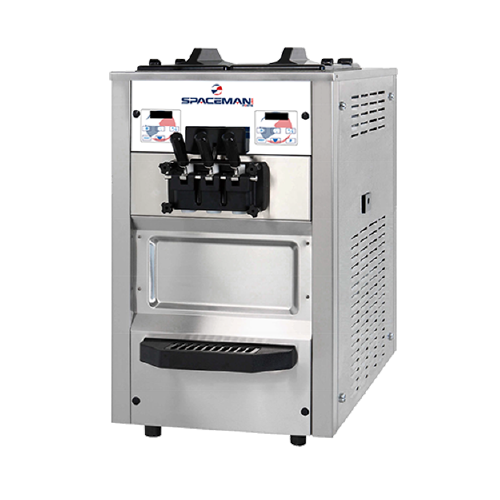 All Spaceman soft serve machines are available with pressurized or air pump option “A” with the exception of the 6210, 6220, 6265, and 6268. 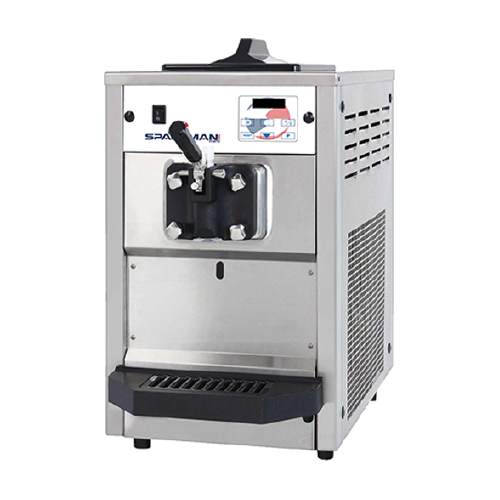 Our air pump adds additional air to your product, resulting in a higher profit and creamier product. 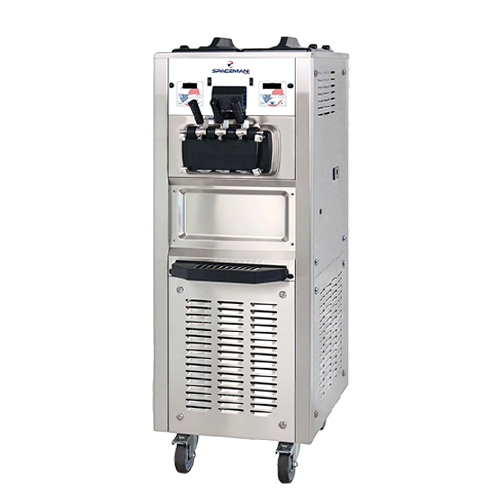 Air pump machines are ideal for those serving soft serve ice cream and especially to stores who plan to serve cones! 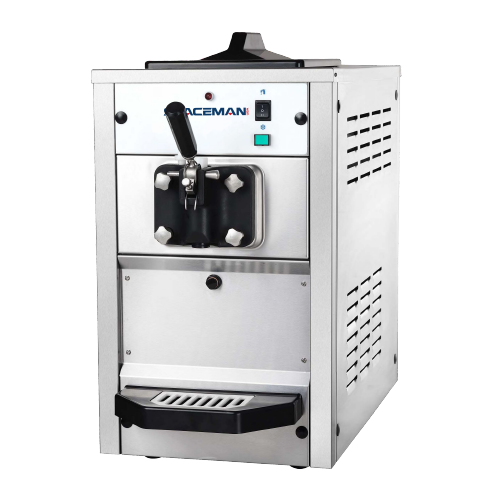 If you are unsure on which model of Spaceman soft serve machine is right, please see the link above to use our “soft serve selector tool”. 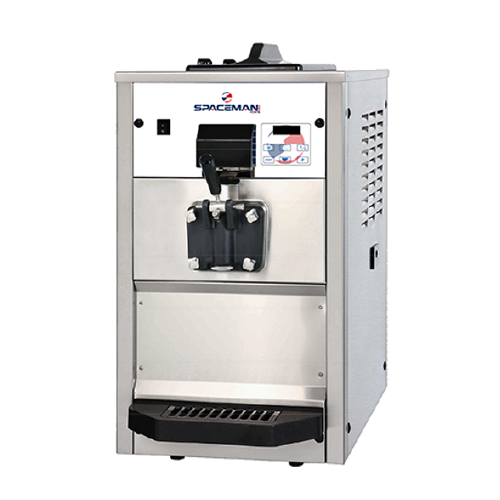 This will ask you several questions and guide you quickly to the right model for your needs.